Our Deluxe Anti Theft Kit is the perfect all in one kit: Includes (1) 1/2 oz Anti Theft Powder, includes large applicator brush, and best of all includes a high power black light to view both product several feet away in the dark. STOP THIEF POWDER is simply a dry finely milled white powder. When powder is applied and contact is made powder glows an intense blue under black light. Totally dry application, easy to use. Great way to catch a thief. Requires black light for viewing. Follow all SDS precautions when using this or any other products. Should you require a skin dye use our anti theft gel. Powder will not stain skin and can be removed with out staining skin. Disclaimer: User/buyer assumes all legal responsibilities for use of our products and how they are used. If a person is suspect for theft contact your local law enforcement agency. Persons are assumed innocent until proven guilty. Our products are merely a tool and not concrete evidence to assume guilt the same as a video camera or other anti theft devices. This should be left to law enforcement and our court systems. Use common sense and discretion with use of our products. CAUTION: KEEP OUT OF REACH OF CHILDREN AND AWAY FROM CLOTHING. PRODUCT CAN STAIN. USER LIABLE FOR MISUSE OF PRODUCT. SAFETY DATA SHEETS AVAILABLE ON REQUEST. FOR YOUR REVIEW PRIOR TO USE. ALWAYS READ SDS INFORMATION AND FOLLOW INSTRUCTIONS FOR THESE AND ALL CHEMICALS. All information, recommendations and suggestions appearing herein concerning this product are based upon data obtained from the manufacturer and/or recognized technical sources. However, Black Light World® makes no warranty, representation or guarantee as to the accuracy, sufficiency or completeness of the material set forth herein. It is the user's responsibility to determine the safety, toxicity and suitability of his own use, handling and disposal of the product, Additional product literature may be available upon request. 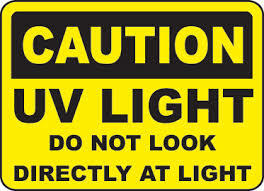 Since actual use by others is beyond our control, no warranty express or implied, is made by Black Light World® as to the effects of such use, the results to be obtained or the safety and toxicity of the product, nor does Black Light World assume any liability arising out of use by other of the product referred to herein. The data in the SDS relates only to specific material designated herein and does not relate to use in combination with any other material or in any process. Click the button below to add the Anti Theft Kit Deluxe to your wish list.